This book gathers together recent international research in intellectual disability (ID), examining the diverse modes of existence that characterise living with intellectual disabilities in the 21st century. Ranging from people with no speech and little mobility who need 24-hour care, to people who marry or hold down jobs, this book moves beyond the typical person with ID imagined by public policy: healthy, with mild ID and a supportive family, and living in a welcoming community. The book is divided into three sections. The first, ‘A richer picture of people and relationships’, expands our understanding of different people and lifestyles associated with ID. The second section, ‘Where current policies fall short’, finds that Supported Living provides just as 'mediocre' a form of care as group homes, and concludes that services for people with challenging behaviour are unrelated to need. The contributors’ research identifies no effective employment support strategies, as well as technological and legal changes that prevent organisations from employing people with ID. With nearly a quarter of this population in poor health, the contributors reflect on whether ‘social model’ approaches should be allowed to trump medical considerations. The third section, ‘New thinking about well-being’, reveals that being old, poor, and living alone increases health risk, and that medication administration is significantly more complex for people with ID. 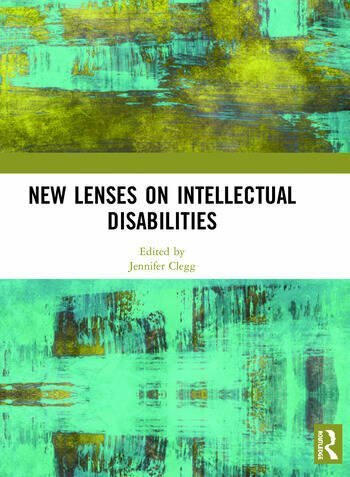 Moving beyond 20th century certainties surrounding intellectual disability, this book will be of interest to those studying contemporary issues facing those living with ID, as well as those studying public health policy more widely. This book was originally published as a special issue of the Journal of Intellectual & Developmental Disability. 12. Does intellectual disability research consider the potential impact of geographic location? Jennifer Clegg is Adjunct Professor at La Trobe University, Australia, and Honorary Associate Professor at the University of Nottingham, UK. She was an academic Consultant Clinical Psychologist in intellectual disability with Nottinghamshire Healthcare NHS Trust until 2015. She continues to edit, write, examine, and teach about non-behavioural approaches to complex needs; her publications include longitudinal research into the transition out of school, conceptual history, and the ethics of practice. She is currently examining the impact of neoliberalism on those living with intellectual disabilities. She is the co-chair of the International Association for the Scientific Study of Intellectual and Developmental Disabilities’ Special Interest Research Group on Ethics.